Close to Everything in Burlington. Yet a World Away. Bask in forever views of the Burlington city or The Waterfront from your suite. 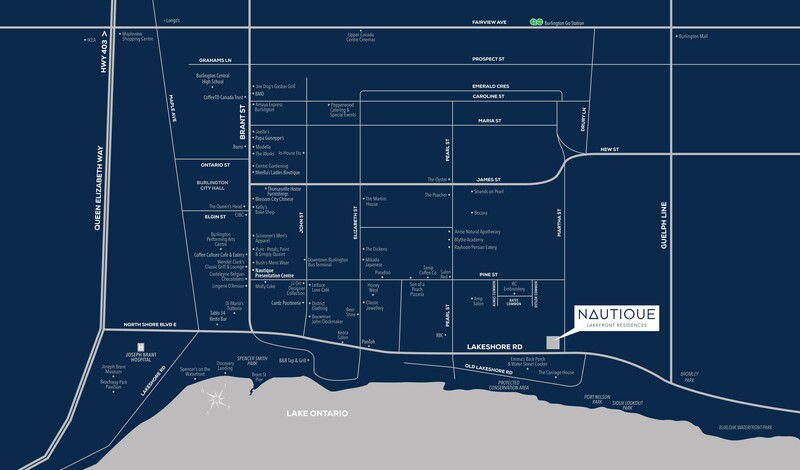 Or, take in all that Nautique’s idyllic location offers. Sip, savour and sample at downtown Burlington’s many vibrant restaurants, patios, bars and cafés. Wander the shops, attend a concert or festival, explore the signature Brant Street Pier. Run, hike and bike the paths and trails that meander through the surrounding parks and line the waterfront. This is a distinctively urbane way of life, delightfully connected to everything in the beautiful city of Burlington.